In GTI Taipei Expo, which will be held on May 10-12 at Area A, Hall One, Taipei World Trade Center, Song Wang/Yalien will hold a wonderful new product promotion event, launching a variety of new products and popular doll machines. And the biggest spot is the upcoming product——the world's first automatic replenishment doll machine, with original turntable design of independent patent. 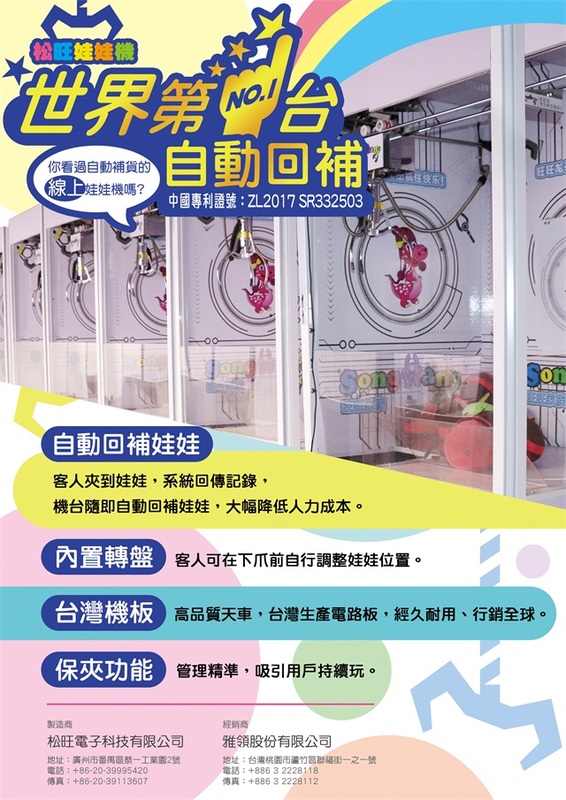 The system will automatically upload the record when player grab the doll, then the machine will automatically replenish the doll in minutes, which greatly reduces manpower. 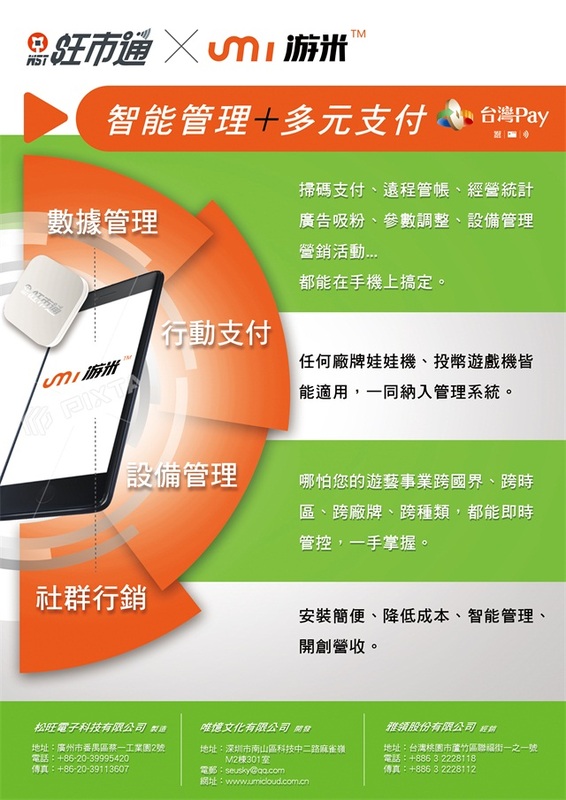 Besides, the company is the first game machine manufacturer in Taiwan to open a third-party payment function. With the management system, scan-code payment, intelligent management are all supported, strong compatibility with any doll machine and arcade game machine. For more details, please visit Booth A35.